PeopleAdmin and SkillSurvey Announce Partnership to Expand Smart Hiring Solutions for Higher Ed. PeopleAdmin, the industry-leading provider of talent management solutions for higher education, and SkillSurvey, the provider of faster, more reliable online reference checking, have entered into a strategic partnership to integrate solutions and help recruiters in higher education to more easily find and hire great candidates. According to SkillSurvey, studies indicate half of senior administrators in higher education will exit their current positions in the next five to 10 years. Given this trend, the importance of more intelligent hiring and streamlined talent management has never been greater. Both companies offer solutions to help colleges and universities build healthy pools of qualified candidates. SkillSurvey’s pre-hire reference check solution helps organizations easily reach references to collect detailed, predictive feedback using job-specific surveys for hundreds of roles, including administrators, deans, advisors and faculty. PeopleAdmin’s talent management suite delivers recruitment, applicant tracking, onboarding, position, and performance management. Schools such as Dartmouth College use the combined offerings to drive efficiency and improve hiring efforts. This partnership plans to extend to include integration capabilities in Q2 this year. Ray Bixler, CEO of SkillSurvey, added that the partnership has opened the door to a more dynamic and effective way to hire candidates for positions in higher education. Looking for more? 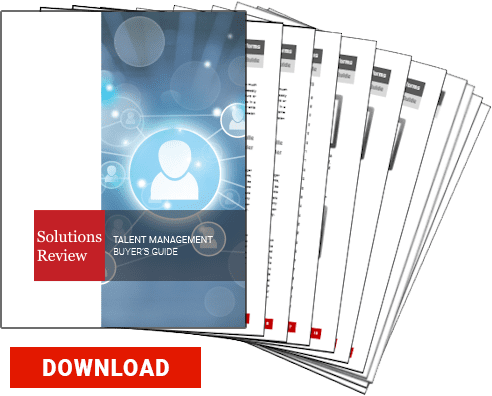 Download our Talent Management Buyer’s Guide for free to compare the top 24 Talent Management and HR Tech vendors head to head. The guide also includes 4 key capabilities to consider while selecting a new solution and 10 questions to ask yourself and the vendor before purchasing. And don’t forget to follow us on Twitter, LinkedIn and Facebook for all the latest in Work Tech!